New replacement keyboard membranes for the Sinclair ZX81 Home computer. Easy to fit, manufactured using the latest techniques to make them more resistant to UV light and long term storage, these new membranes will help keep the original ZX81 running for a good few more years. 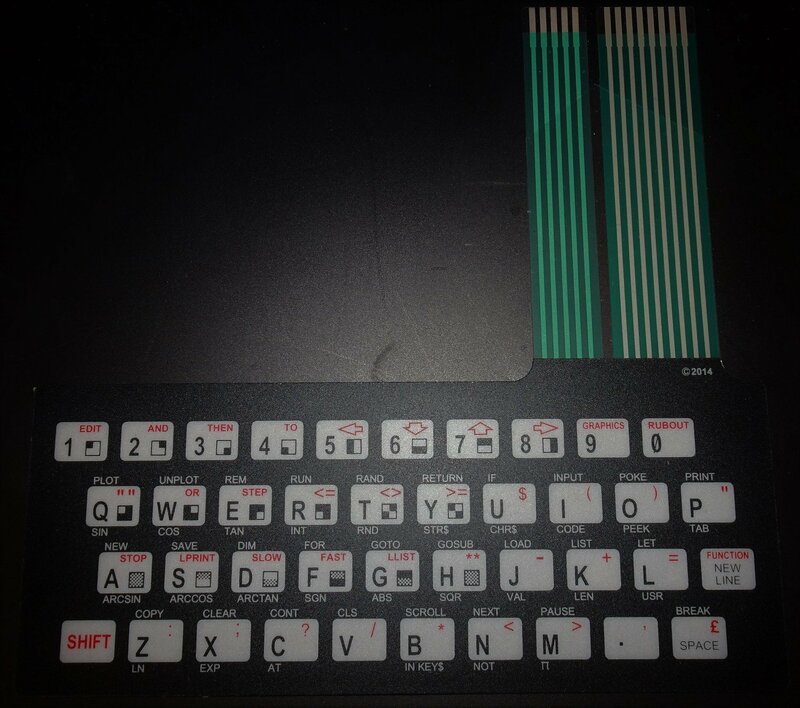 These membranes also suit the Timex/Sinclair TS1000 computer - although there is a slight difference in a couple of the keywords used between the ZX81 and the TS1000, albeit with the same meaning (eg Rubout instead of Delete).